Let's get cheesy with it! 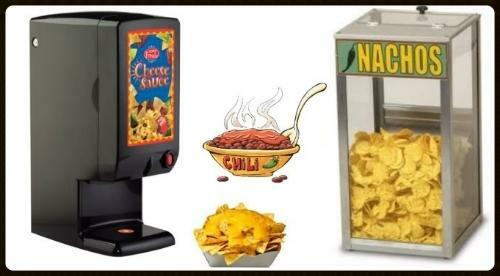 Rent the Nacho Cheese Dispenser for your next party or event. This Nacho Cheese Dispenser is great for heating up and dispensing cheese for your nachos. Of course you can't have nachos without the chips! Included in the price is the nacho chip warmer. It can get quite cheesy, so reserve yours today! All rentals are cleaned thoroughly after each use and inspected for safety. All employees have Level 2 screening background checks. We arrive early and set up so you can enjoy your full rental time. We are a State Licensed and fully insured Florida business.